The NYCC sponsors its Community Encores series, an outreach initiative bringing contemporary classical music of the 20th and 21st centuries to populations that may not readily have access or exposure to it. In effect, the NYCC is bringing the recital hall to audiences in non-concert institutional venues around New York City, such as schools and senior centers, at no charge to the institution. These community outreach recitals provide a performance showcase for both our composers and performers, and offer the NYCC an opportunity to establish a more far-reaching presence in the community, while furthering the cause of new music as a vital cultural experience. 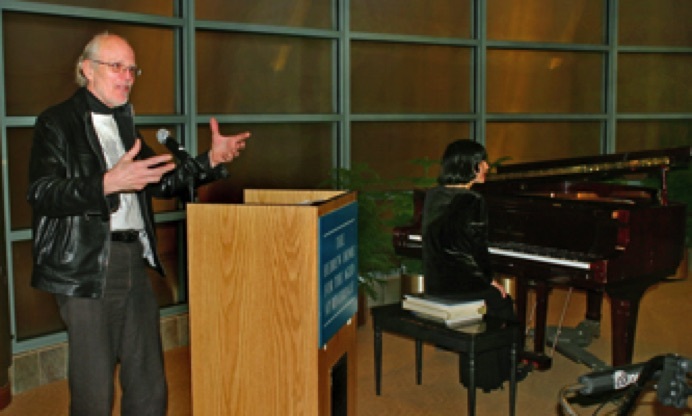 On February 24, 2009, at the Hebrew Home for Aged in Riverdale (the NYCC’s first music presentation outside Manhattan), and again on May 1, 2009, at the West Side Senior Center of the Jewish Association for Services to the Aged (JASA), our Executive Director, John de Clef Piñeiro, presented NYCC member Nataliya Medvedovskaya in a one-hour piano recital of works by NYCC composers and by acclaimed 20th century masters. These recitals were enthusiastically received by audiences composed mostly of senior citizens and some center staff. 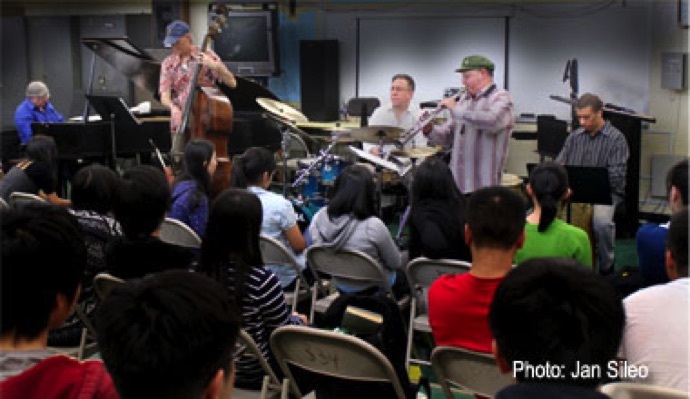 On January 6, 2010, the NYCC gave two back-to-back recitals, each lasting a full school period, to nearly 200 students and their music faculty at the Bronx High School of Science (the NYCC’s first Community Encores recital in a school venue to teenagers). In a survey of art songs spanning the last 100 years, soprano Sofia Dimitrova and pianist Catherine Miller, with introductions and commentary by John de Clef Piñeiro, presented samples of the vocal repertoire of Charles Ives, Aaron Copland, and Gian Carlo Menotti, as well as music by current and former NYCC composer members. Notably, composer Richard D. Russell was on hand to introduce and comment on the composition of his Three Elegies, and to answer questions from the audience. Both presentations were very well received and the NYCC was invited back by the faculty to give other future recitals. So far we have presented over 25 community outreach concerts at public high schools (Bronx H.S. of Science, Stuyvesant, and Hunter College H.S. ), and at community centers (Lenox Hill Neighborhood House at Saint Peter's Church and JASA, as well as two outreach concerts by Eugene Marlow's Heritage Ensemble at Lighthouse International). Many of these free outreach concerts are presented under the sponsorship of NYCC contributors, and the list of schools and community centers is growing. To learn more about how the NYCC can reach out to your organization, contact the NYCC's Executive Director, Hubert Howe, at hubert@newyorkcomposerscircle.org. And to find out how you can help support this unusual and worthwhile project, click on the JUST GIVE tab to the right. 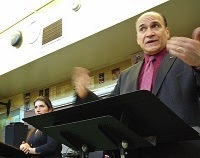 John de Clef Piñeiro introduces Sofia Dimitrova during an Outreach Presentation in 2009, the first such presentation outside of Manhattan. Eugene Marlow's Heritage Ensemble presenting a program at the Bronx High School of Science. Eugene McBride introduces his music to students during an Outreach Presentation.